"The Lid": WHOOPS, Another Iranian Nuclear Scientist Has An "Unfortunate Accident"
WHOOPS, Another Iranian Nuclear Scientist Has An "Unfortunate Accident"
The position of nuclear scientist in Iran is quickly becoming more dangerous than standing between NY Senator Chuck Schumer and the nearest TV Camera or between Ron Paul and the chance to add another earmark. Earlier today, two guys on a motorcycle attached magnetic bombs on the car of an Iranian scientist who just so happened to be the deputy director at Natanz enrichment facility killing him and wounding two others, the Fars news agency reported. 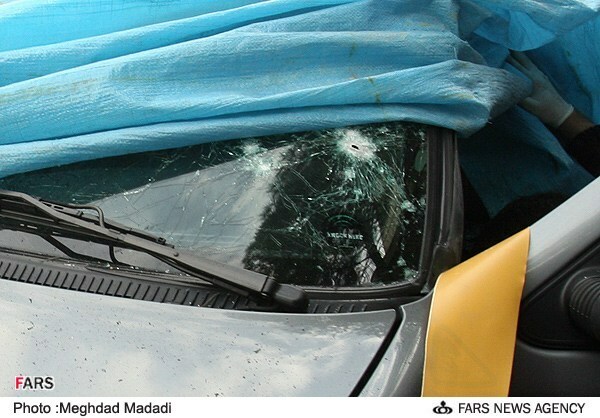 The magnetic bomb which was planted by an unknown motorcyclist under the car of Mostafa Ahmadi Roshan Behdast, a professor at Tehran's technical university, also wounded two other Iranian nationals in Seyed Khandan neighborhood in Northern Tehran. Coincidentally the killing of Roshan was similar to previous assassinations of Iranian nuclear scientists (amazing how that happens), and it happened almost two years to the day after a another Iranian nuclear scientist participated in an explosive finale. On January 12, 2010, nuclear scientist Masoud Ali Mohammadi, a senior physics professor. He was killed when a bomb-rigged motorcycle exploded near his car as he was about to leave for work. In November 2010 it was two for one day in Iran, a pair of back-to-back bomb attacks killed one nuclear scientist and wounded another. Both scientists were involved in Iran's "peaceful" nuclear program. An just six months ago, a motorcycle-riding gunmen killed Darioush Rezaeinejad, a scientist involved in developing high-voltage switches, a key component in setting off the explosions needed to trigger a nuclear warhead. Vice-Chairman of the Iranian parliament's National Security and Foreign Policy Commission Mohammad Kosari blamed the usual suspects the US and Israel, saying said, "In this case the footprints of the Zionists and the world arrogance are seen too." The Chair of Vice Mr. Kosari is being a bit too rash. Since the Iranian government claims to be developing their nuclear technology for peaceful use, the CIA and Mossad agents should be very aware of their intentions and would never assassinate a scientist who is developing a way to generate clean energy. No, this must all be a horrible coincidence....hey accidents do happen and the Iranian scientists should be more careful.